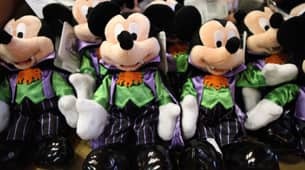 With the Halloween season returning to Disney Parks, guests will now find a frightfully fun assortment of products created by Disney Parks Merchandise. I recently visited World of Disney at Disney Springs to discover what treats are in store for this Spooktacular time of year. 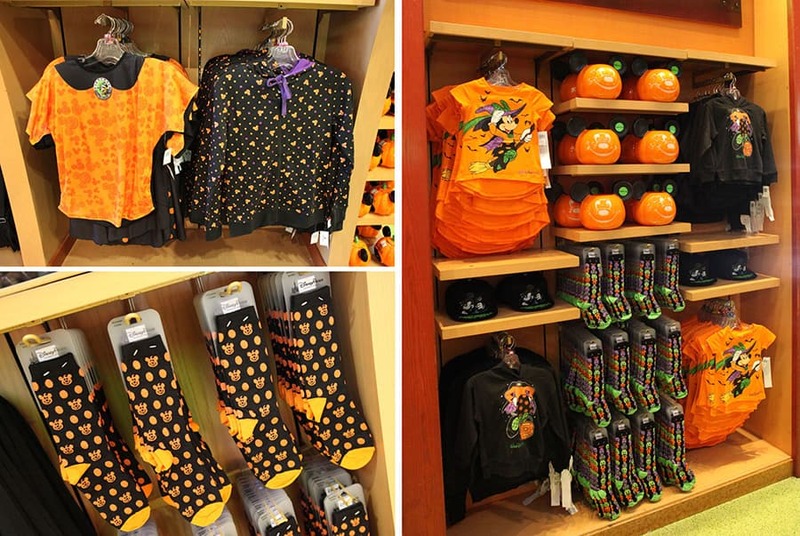 This year’s Halloween collection features a fresh look created by Disney Design Group artists. The art team created a massive style guide with textures, backgrounds, character designs and more that the merchandising team used to create products. My favorite elements from this year’s style guide are character posters inspired by horror movies from the 1950s. Each poster features characters dressed in costumes that match themed lands found at Disney Parks. You’ll find these character designs and movie posters used on select items. 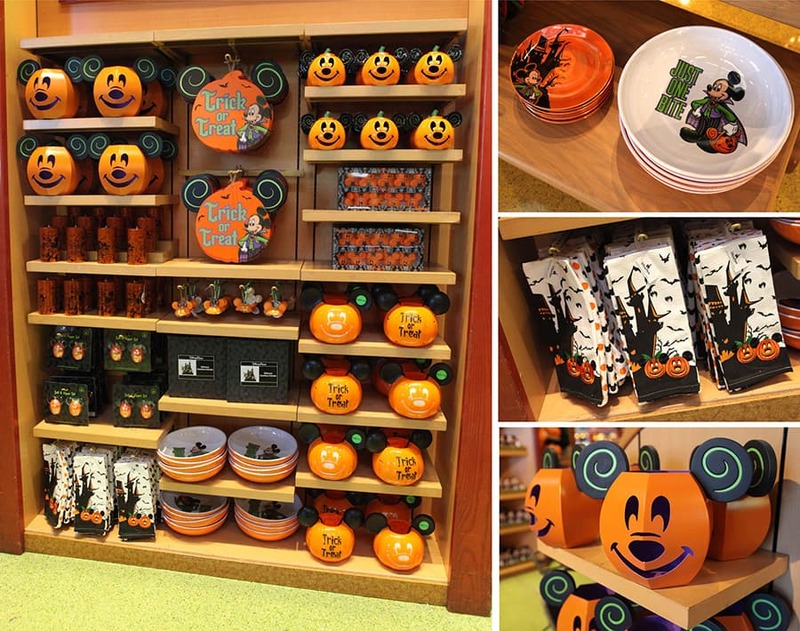 For guests wanting to add a splash of Halloween to their home, the seasonal team introduced several new items this year. 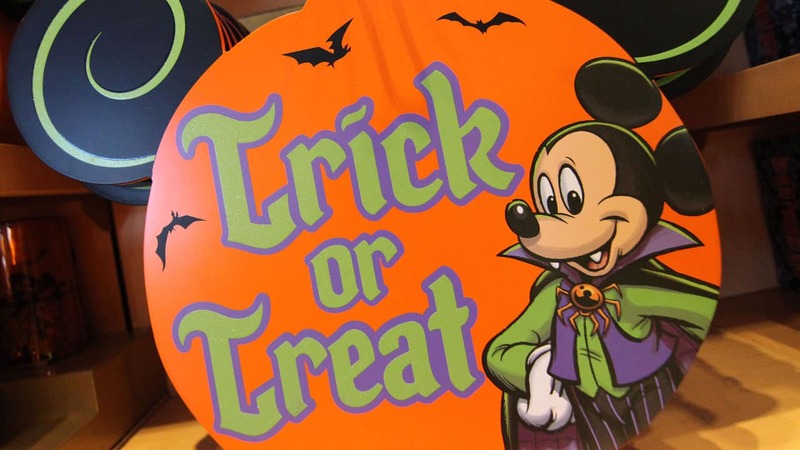 They include a wooden, pumpkin-shaped sign with Mickey Mouse dressed as a vampire, and a contemporary-styled tin Jack O’Lantern that can hold an artificial candle. Guests will also find a coffee mug, a dessert plate, and a large Melamine bowl that’s perfect for holding Halloween treats. New seasonal apparel was also released for adults and kids. Guests will find several graphic tees including my favorite, a Raglan tee with the Hitchhiking Ghosts from The Haunted Mansion attraction. I’m also in love with new colorful socks with pumpkin designs. Women will find a new zip hoodie and a costume tee that comes with a cape. Girls will have two Minnie Mouse tees while boys will find a new vampire Mickey Mouse baseball cap. 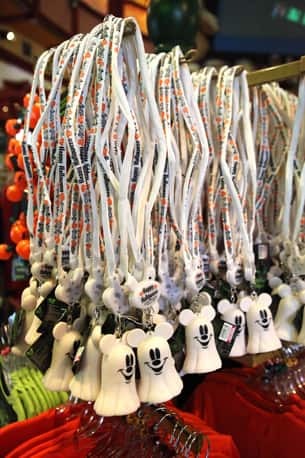 Other items in this year’s collection include Disney pins, plush, pre-packaged candy, light-up necklaces and more. Below you’ll find several photos of items that caught my eye. Look for these items in select merchandise locations at Disneyland and Walt Disney World Resorts. Guests may also have select products shipped directly home using the free Shop Disney Parks app. 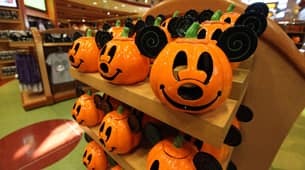 Finally, you can find items on our Disney Parks online store by visiting DisneyStore.com/Halloween. We are coming to Mickey’s Not so Scary Halloween party next month. And I would like to know if the World of Disney shop at Disney Springs is going to be carrying this years merchandise, as well as the shops in the Parks? Oh my gosh!!! I can’t wait!! So excited and love the photos and all the information you provide. It just makes the Aussie fan even more excited and just can’t wait to get as much as I can. You’re the best! Disney Halloween here I come! See you in October!! 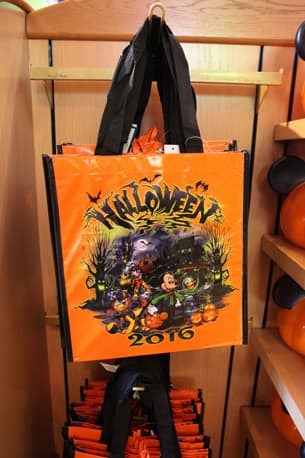 Will we be able to purchase the orange 2016 dated Halloween shirt in the Disneystore.com, like we have in the previous couple of years? We are going down for the last Halloween party and would like to have one before we go. Yes I was talking about mystical spirits but the description really says nothing nut viewing area. Last year it was intertainment during dinner and a seated area in front of the castle for fireworks. All it says this year is reserved area for parade. Is perferd viewing going to be like last year seated right in front of sleeping beauty castle or just standing like the one for the paint the night parade? And is their entertainment like last year? @Deborah – Great question. 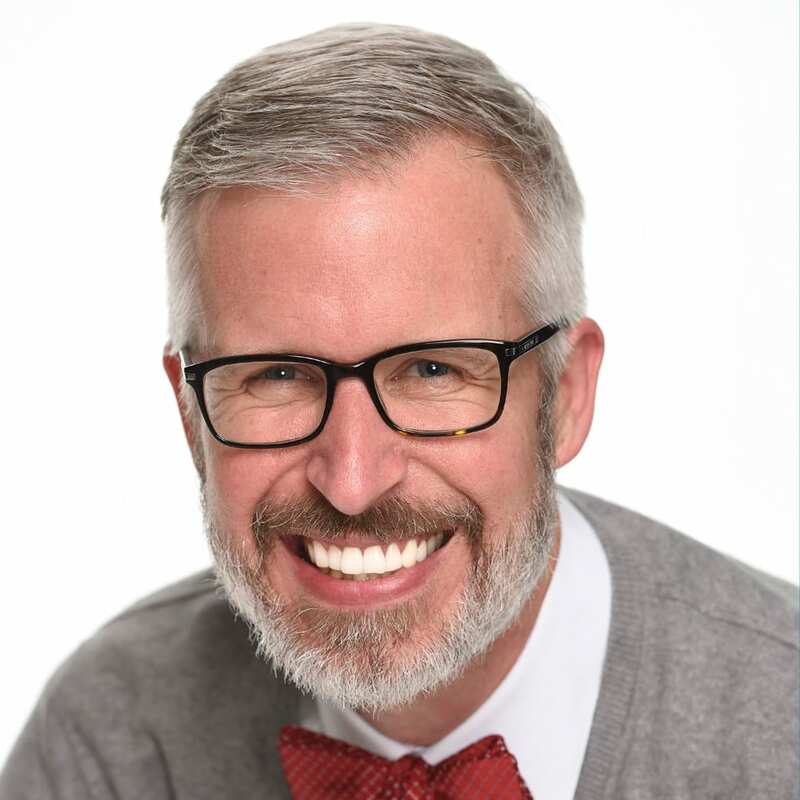 I cover all things merchandise so I’d have to ask my Food & Beverage partners. They would handle development of the popcorn buckets. Is there any word on a “special”dinner at the Blue Lagoon, like last years? Blue Bayou Restaurant – Halloween Dinner Reservations Coming Soon. Take a break during Mickey’s Halloween Party and feast on a bewitching 3-course dinner. Enjoy your spook-tacular meal at this popular New Orleans-themed restaurant which includes preferred viewing at the Frightfully Fun Parade. A Mickey’s Halloween Party ticket is required to dine at this event. Any Halloween themed vinylmations this year? @John – I don’t recall seeing any Halloween-themed Vinylmation this year. The reason I asked about Halloween was we will be there Aug 27-sept 1 and wanted to know if we will see the park decorated! When will the park be decorated for Halloween? @Janis – Look for Halloween decorations to appear in the coming weeks. I know that Mickey’s Not So Scary Halloween Party starts on September 2 at Magic Kingdom Park in Florida. Halloween Time at Disneyland Resort starts September 9. Is the orange dated Halloween shirt for adults or children? @Olivia – The orange shirt pictured in the article is for adults. Still waiting to see the popcorn bucket and sippers for Halloween! Can’t wait! ✨?? @Jill – I’m not aware of any posters for sale using that artwork. You can, however, find the poster artwork on select items such as little candy bags from the Consumables team. I also saw some of the artwork used on pins. I really like ALL the posters! 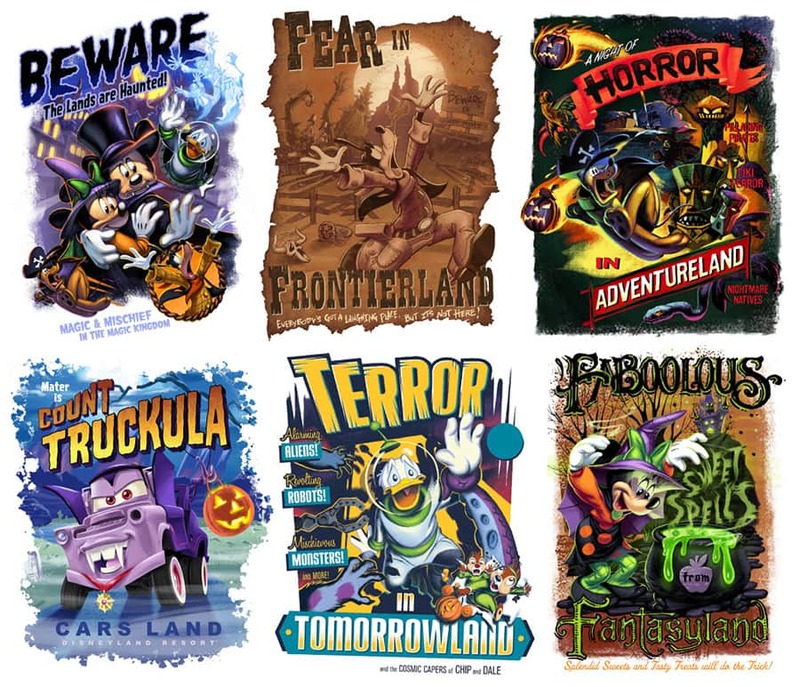 Are the Walt Disney World Halloween t-shirts available for purchase at Disney Parks online? I’m interested in the orange shirt which is dated “2016”. Thanks! Welcome to Our World! 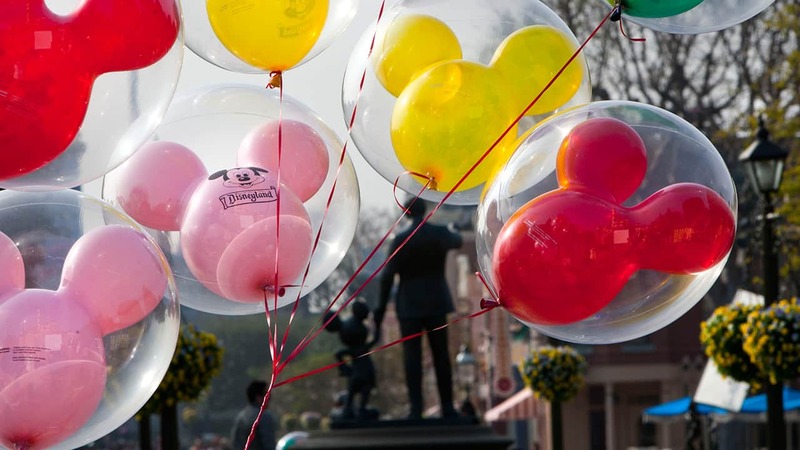 What is Disney Springs?